Stay in Touch Wherever You Are! Are you worried leaving your baby or child alone? Using our iphone, android, windows device, tablet or PC you can now keep an eye on your little one wherever you are all the time! No more need to stress or worried as a parent. 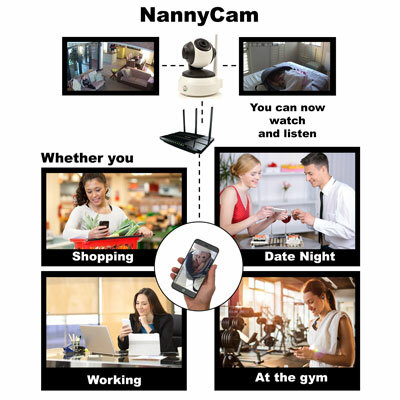 Whether you are at work, gym, shopping or just in another room in the house, you can watch, listen and talk to your baby via the WiFi connection to your nanny cam. 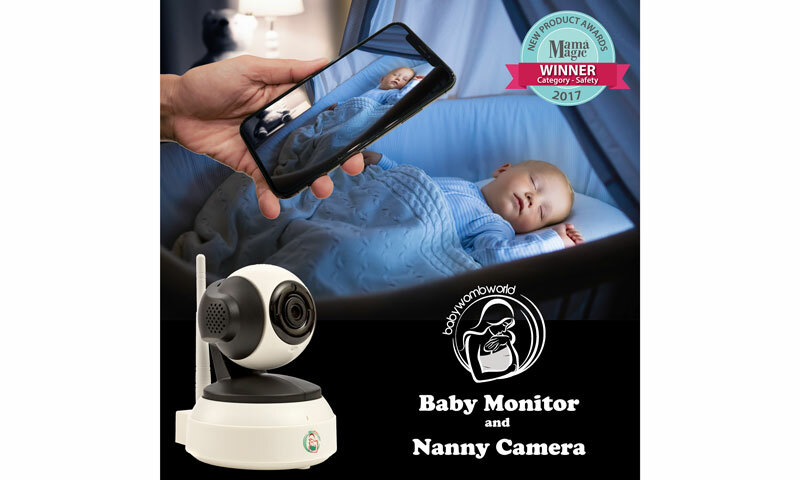 Baby video monitor for babies, pets, the elderly or just for security purposes that will give you complete peace of mind! Are you worried about not hearing your baby when he/she cries in the other room? Or leaving your baby at the nanny while you go to work, shopping or the gym? What is happening in your house while you are not there? Whether your house is still secure while you are on holiday or just away for a day or two? 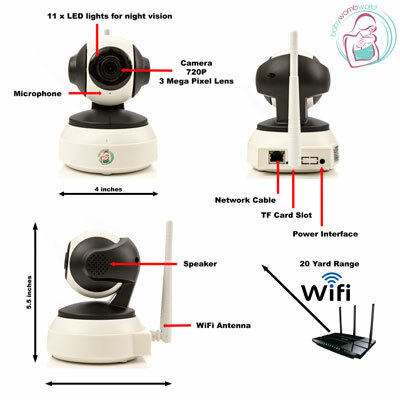 BabyWombWorld has designed a smart WiFi camera with fantastic features! No matter where you are, you can now watch, listen and talk to your loved one anytime, all the time! Alarm push motion detection will notify you when there is any movement and via the smartphone you can remotely pan (355 degrees, horizontal) and tilt (90 degrees, vertical) the camera to view everything in the room. The 720P high resolution lens provide crystal clear images and video recordings (TF card not included) at day and night. Eleven infrared sensors around the camera lens allows recording of video in a complete dark room with as low illumination as 0.1 Lux. Included is a mounting bracket for those who want to fix the camera to a wall. This camera can also be used to remotely look after your pet, the elderly or to just have an eye on your home while you are away from home for security purposes. All BabyWombWorld cameras are CE and FCC certified and we guarantee superior after sale customer service. Step 1: Download the app by scanning the QR code on the packaging. 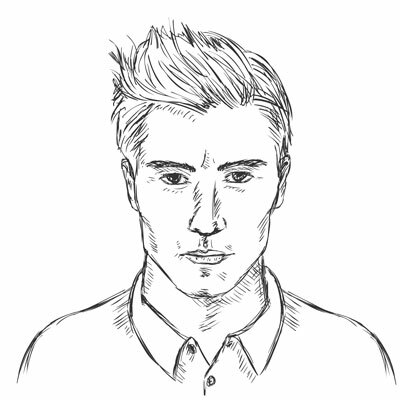 Step 2: Make sure the WiFi camera has power and your WiFi network is on. 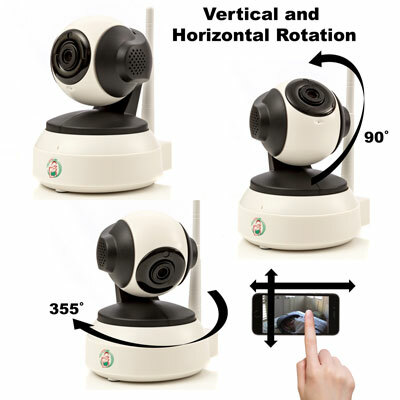 Step: 3 Using the “smartlink” on the app, pair the camera to the smartphone. Step 4: With the camera in close proximity (max 20 yards) from WiFi router it is ready for use. You have a right to see and to know! We all want the best for our children but we can't always be with them all the time. Work demands long hours and who knows what is happening at home. You do not have to guess anymore. 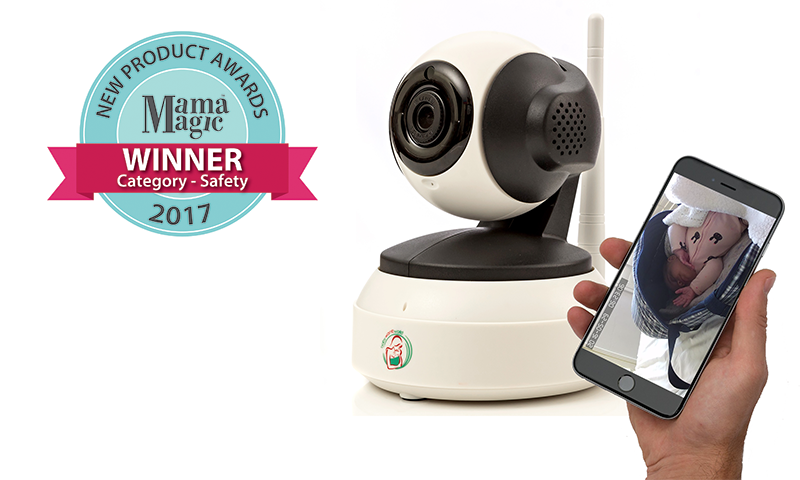 With the award winning BabyWombWorld Nanny Camera you can watch what is happening at home. You can have more than 1 camera connected to your phone. And you also have the ability to record all video footage via the SD card to review if needed! This camera is amazing! I have another camera that I have for my daughters room and it was more expensive then this camera. This camera responds well and the quality is amazing.The set up was super easy and I have it running all the time. For a camera at this price this a great buy and I recommend it to anyone who has kids. This was super easy to connect and images were very clear. Better than I expected! This is very good quality baby monitor camera. It really helps me to check my family and home. The image is very clear and the sound is good. I highly recommend you to get one. I like that via the smartphone I can remotely pan. Great great product! 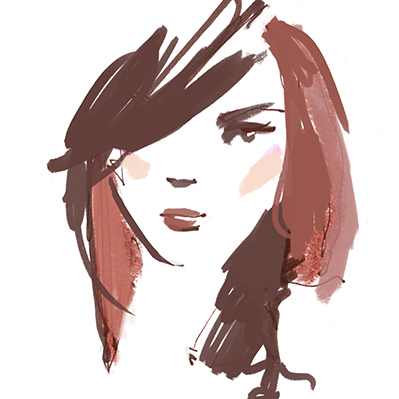 Two thumbs up~ I’m amazed at the product, so easy to set up that even I can managed. Highly recommend.